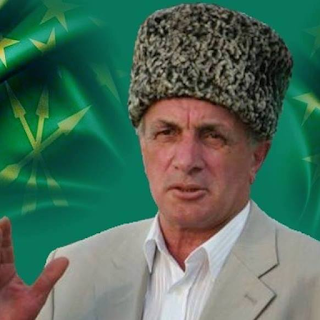 Ruslan Gvashev, a former chairman of the Board of Elders of Circassians-Shapsugs was hospitalized on the eve of the consideration of his complaint by the Krasnodar Territorial Court, his advocate Marina Dubrovina reports. The "Caucasian Knot" has reported that on June 2, the Lazarevskoe District Court of Sochi found Ruslan Gvashev guilty of organizing an unsanctioned action on the Adygs' Memory Day, namely, a prayer near the Tulip Tree, and fined him by 10,000 roubles. Ruslan Gvashev declared his categorical disagreement with the judgement and appealed against it at the Krasnodar Territorial Court. This Court appointed the consideration of Mr Gvashev's complaint at 10:30 a.m. Moscow time on July 19, as Ruslan Gvashev had himself reported. He also stated that "he will surely personally participate in the court session." "For me it is of principle to defend the right to prayer for those ancestors, who tragically perished in that bloody war," the "Kavkaz. Realii" quoted him as saying. According to Marina Dubrovina, today she met Ruslan Gvashev, her client. Gvashev "was with his friends and relatives and was very anxious before the court session." Later, he felt bad and was hospitalized with a suspicion of a heart attack, Ms Dubrovina told the "Caucasian Knot" correspondent.